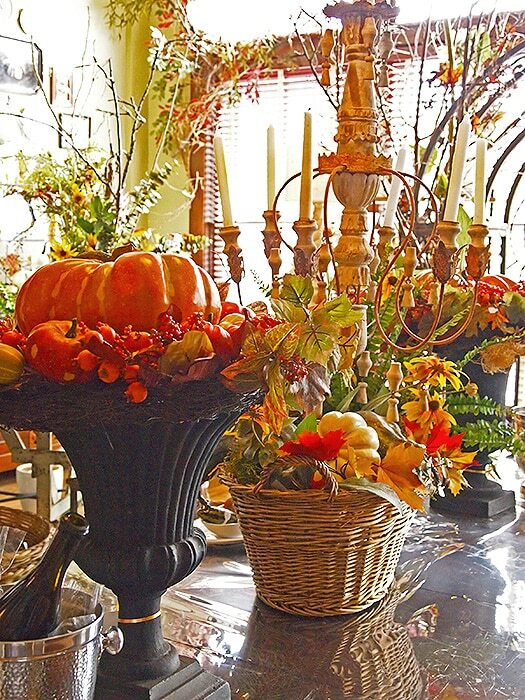 Thanksgiving Decor – It is officially November, and you know what that means: the time has come to bust out the Thanksgiving decorations and design a home full of festivities! 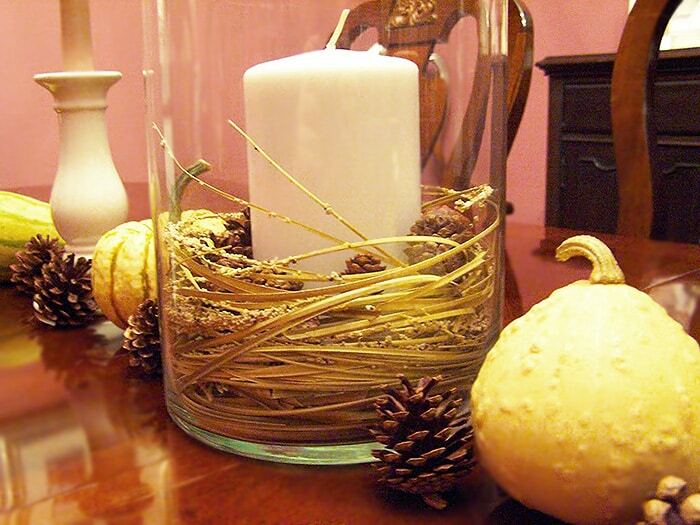 Dust off that cornucopia and fill it with holiday vegetation to really set the mood, collect those newly turned spectrum of colorful leaves and drop them on the table, and grab the pop of fall color you’ve been waiting all year to use. With Turkey Day rounding the river bend, design and style is of the utmost importance when it comes to transitioning to the holiday season. We all know and love of our beloved holiday season starting with the haunting Halloween spectacles to the champagne toasts of New Years because it’s a time for families to come together, share conversation over deliciously prepared food, and to deck the halls with tons of decor. 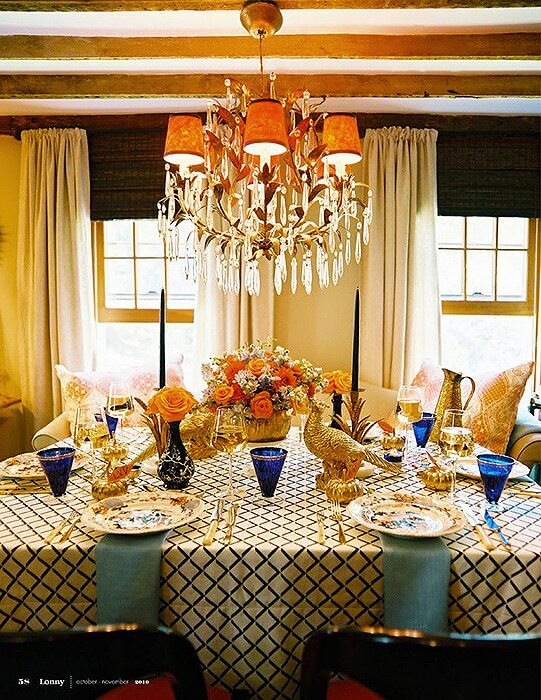 In order to really get in the mood for Thanksgiving, design is all about the fall color palette of chocolate-y browns, burnt amber, vibrant oranges, and golden yellows. 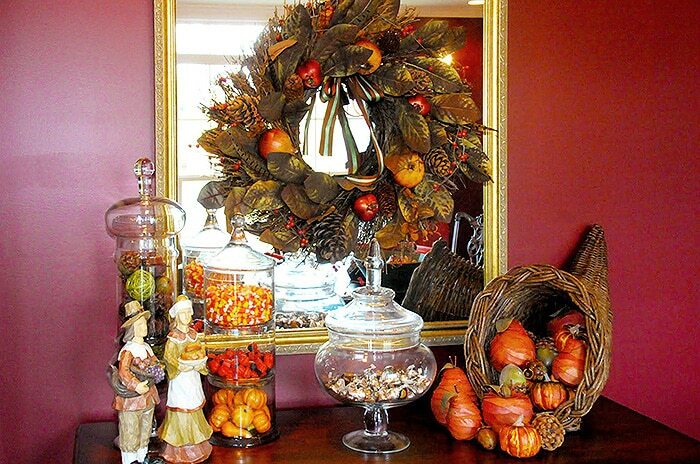 Switching over home decor to incorporate this festive feast of colors truly makes a home scream fall and will have your guests on pins and needles anxiously awaiting the moment the turkey pops out of the oven. This time of year allows for one to go all out in coloring their home by adding newly pressed linen, throw pillows, and curtains. 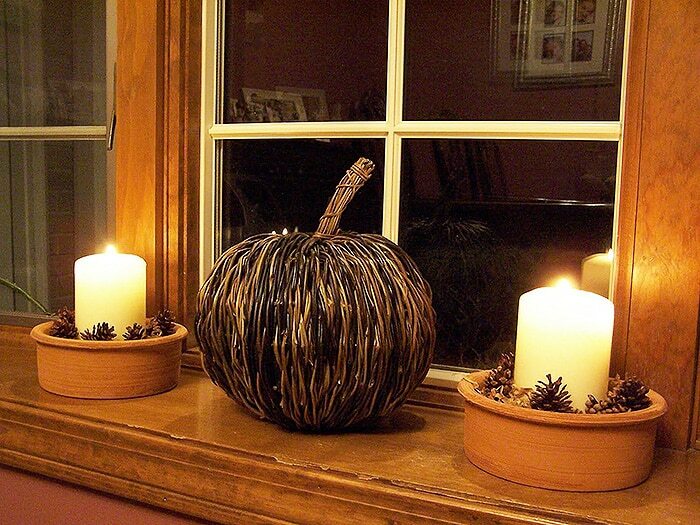 One can definitely spice up the room with pumpkin scented candles, autumnal vegetation, and shrubbery that brings the colorful outdoors into the home. I wasn’t kidding when I said dust off the cornucopia. 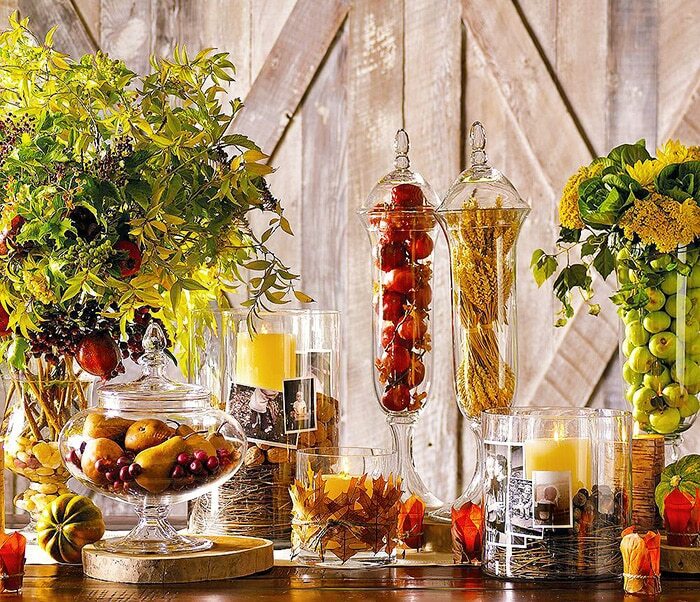 Not only is this THE staple of fall table settings and festive Thanksgiving holiday decor as far as centerpieces go, but it also serves a purpose as a fruit basket. With the nights getting colder, why not bust out the holiday scented candles of roasted chestnut, cinnamon spice, and a melee of pumpkin inspired treats. Not to mention, fallen leaves are the epitome of the fall seasonal change. Go out there and get your abode geared up for the festivities that are to come! Happy holidays! Coming together to give thanks and stuff our stomachs has long been the heart of Thanksgiving. But the backdrop of these family feasts plays an equally important role. 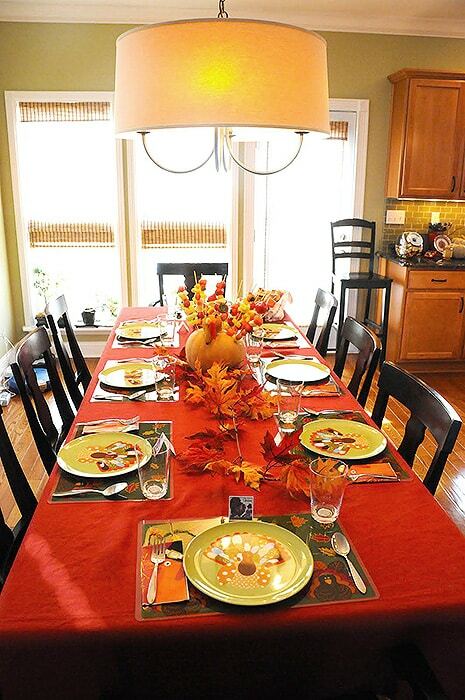 The family dining room is designed to set the tone for holiday togetherness. 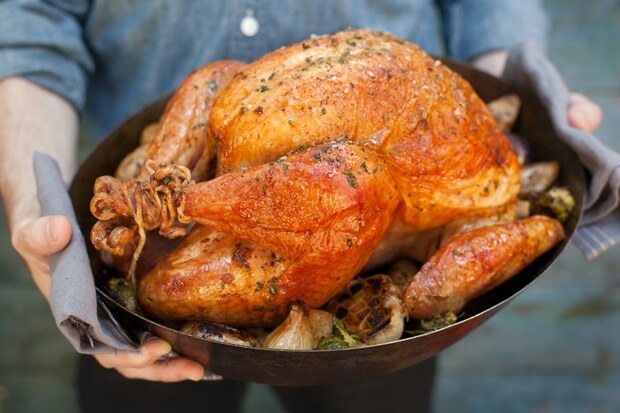 It is the backbone of Thanksgiving gatherings, but it is starting to disappear. According to the National Association of Home Builders, homes are expected to shrink up to 10 percent by 2015, and the number one space to get the ax will be the formal dining room. The holiest of eating places will be replaced by a new hybrid room, comprised of the kitchen, dining and living rooms. It is a lumping together of social spaces that suggests an interesting trend – that the formality of hosting has been transformed into a more social affair. Indeed, nearly all the Thanksgiving hosting guides this season have included tips for keeping the holiday chef engaged in festivities. 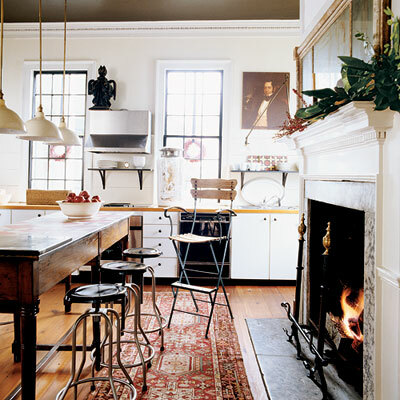 Whether it’s pushing the bar cart into the kitchen, or encouraging open plan cooking and dining spaces, the trend is a move away from the age-old “a woman’s place is in the kitchen,” to the modern concept that the Thanksgiving cook – male or female! – deserves to enjoy the day beyond the scope of the stove. That being said, there is no reason the new kitchen dining living room shouldn’t be as stylish as possible. Whether it’s a gorgeous antique Persian rug, flattering artwork, or Art Deco accent, this space should be designed as something special. 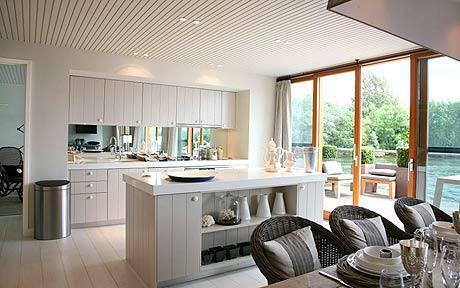 After all, the social hub of a home should both welcome and impress visitors. Let them leave with full tummies, and a friendly envy of your interior design! This holiday decorating blog about Thanksgiving Decor post was publish by Nazmiyal Antique Rugs in New York City, New York. Beautiful. All so elegant and warm and inviting. 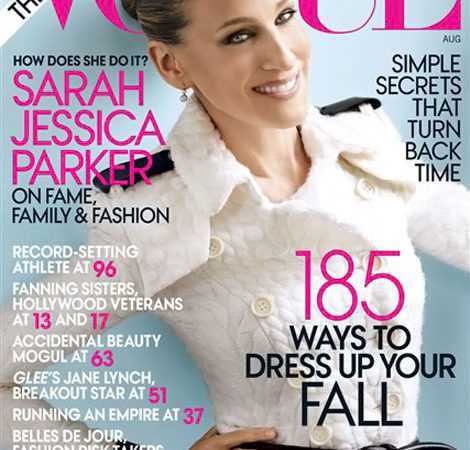 I love reading these articles because they’re short but infomative.